These two have a very cool history. They actually met online but come to find out, their families are from the same small town in India and their grandfathers used to be NEXT DOOR NEIGHBORS. How crazy is that!? I can’t believe that these two would find one another hundreds of miles away decades after their families knew one another. I think it’s safe to say that fate stepped in here. 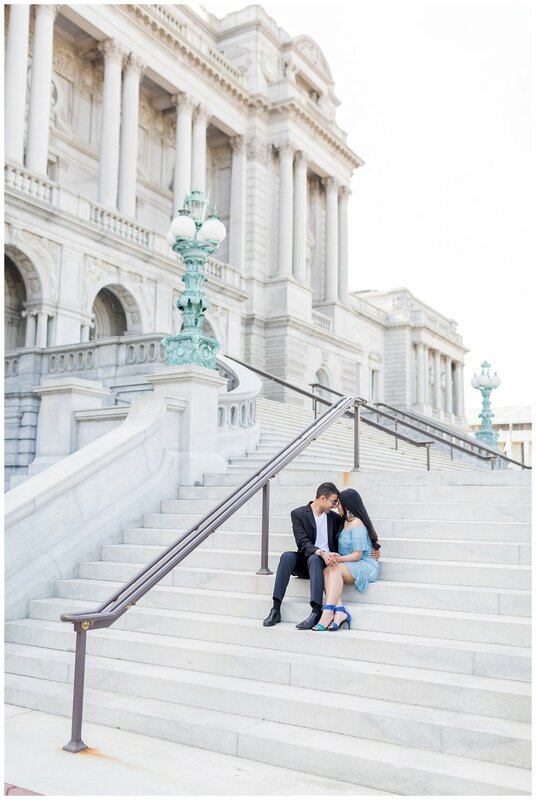 Their first date was to the Library of Congress. 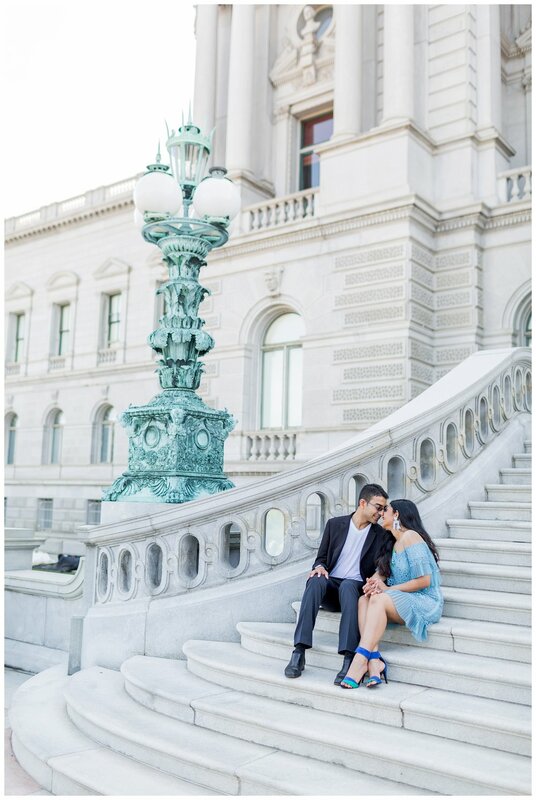 Neither had been to the LOC before their first date so it was a fun new way to get to know DC and each other! 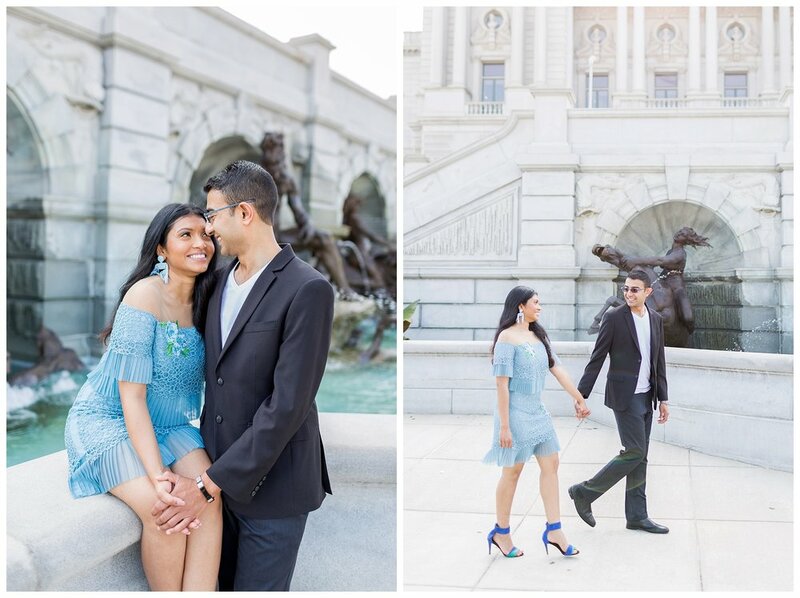 These two began dating long distance and eventually, they took a trip to New York City together where Prashant proposed! He asked her for her hand on a rooftop during their NYC adventure! 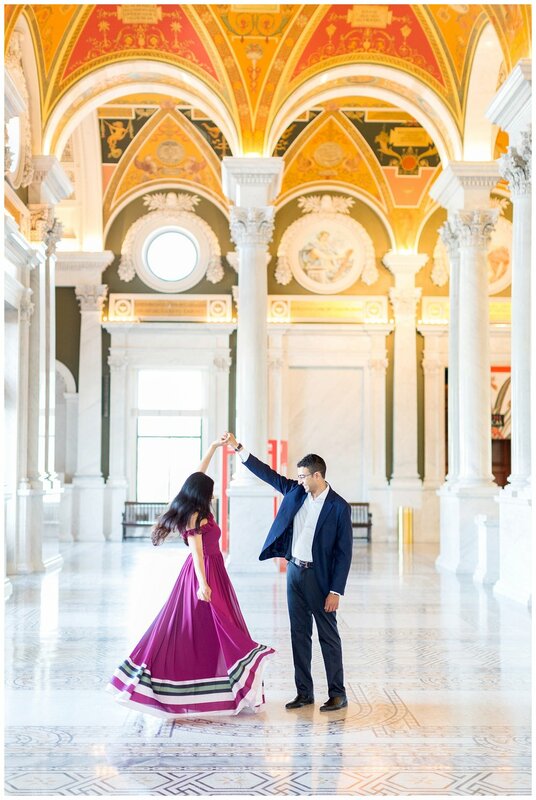 These two are planning their wedding in India which will be a full week’s worth of celebrations. 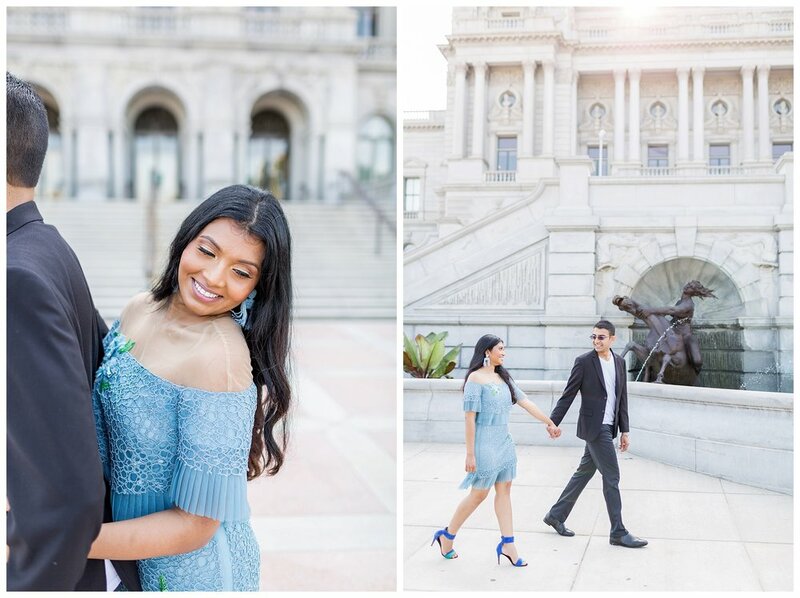 For their engagement session, they decided to go back to where it all began: their first date spot. 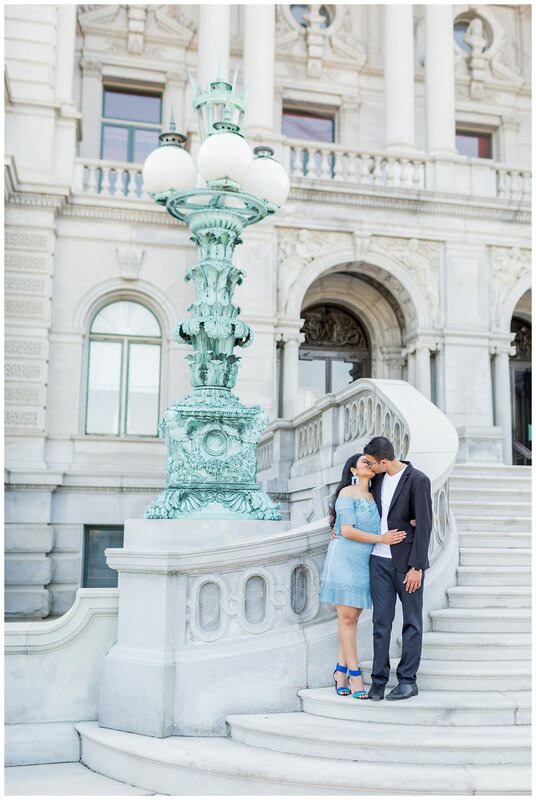 Here are my favorite images form their Library of Congress engagement session!